Drug trial in offers glimmer of hope to fight deadly cancer. 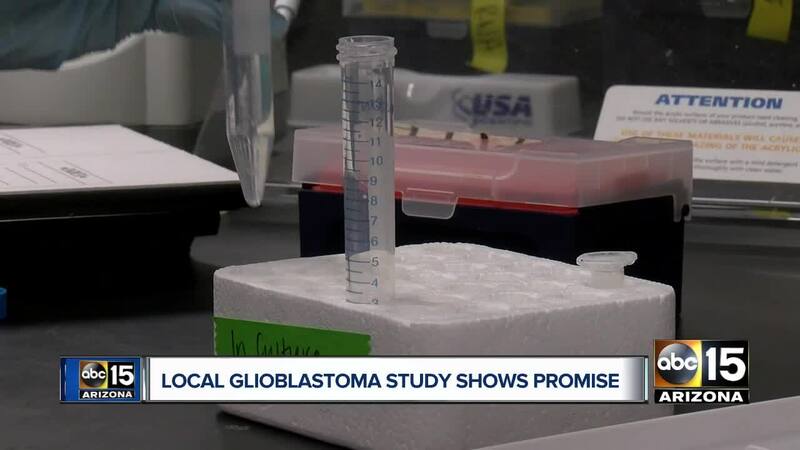 PHOENIX — There's a glimmer of hope in treating the deadliest form of brain cancer, thanks to a drug trial happening right here in the Valley. Glioblastoma made headlines when the late Senator John McCain was diagnosed in 2017, but sadly many families know firsthand just how devastating this disease can be. Commuters haven't heard iHeartRadio Traffic Reporter Jason Christopher (Tillwach) since July 2017. 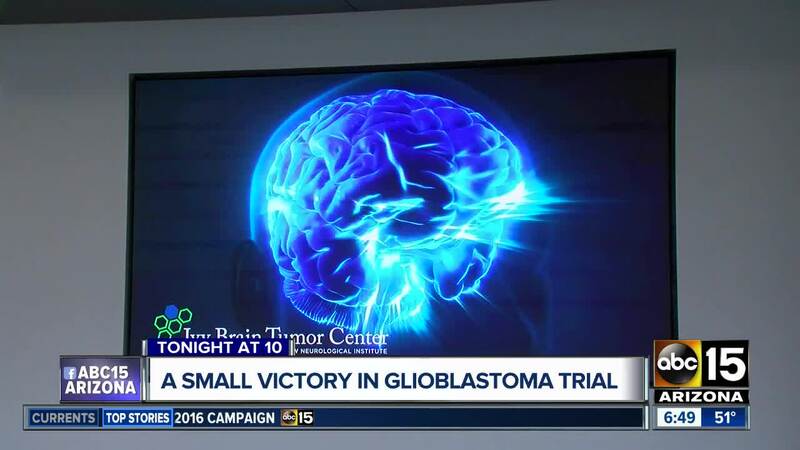 "After finally running a test... they were pretty sure it was stage four Glioblastoma and that I needed to start making preparations," said Jason's Wife, Kerri Christopher Tillwach. The husband and father of two passed away just three-and-a-half months later. "I didn't want to believe that it was real and that he was going to die," said Tillwach. "I truly believed that we were going to get some kind of miracle and that he would be fine but it just didn't work that way for us." Jason's family far from alone in their grief. "It's generally considered incurable," said Dr. Nader Sanai, Director of the Ivy Brain Tumor Center at the Barrow Neurological Institute in Phoenix. "It can happen really to any demographic." Dr. Sanai says Glioblastoma is so deadly because of the tumor's slippery texture and ability to mutate within the brain's tissue. Most drugs can't even penetrate the brain's protective barrier. "For these patients, they have limited bites at the apple," Dr. Sanai said. "You don't know how many additional trials they'll have an opportunity to try so we want to make sure whatever we're giving them has the maximal chance of effect." Now, a big step toward treatment, in the form of a drug called Ribociclib. It was recently approved for breast cancer, but for the first time, appeared to penetrate the brain tumor in a recent study at the center. It is a unique breakthrough too. The center says it is the first to test this specific drug in this way. Also, clinical trials are typically done in three phases with each phase accomplishing something different. However, years ago the FDA approved what is called "Phase Zero" trials which the Ivy Brain Tumor Center adapted for brain tumors. Phase Zero essentially lets doctors speed up the trial process, weeding out drugs that are not useful more quickly for patients who are running out of time. "In a small study like this when you see this kind of effect, it means you're really onto a real signal," said Dr. Sanai. There is a lot more work to be done but for Kerri Christopher Tillwach, any progress is good news if it keeps other families from experiencing a similar heartache. "It would be amazing because what nine and 11-year-old kid should have to watch the person that they thought was their hero, just literally just deteriorate right in front of them?" she said.